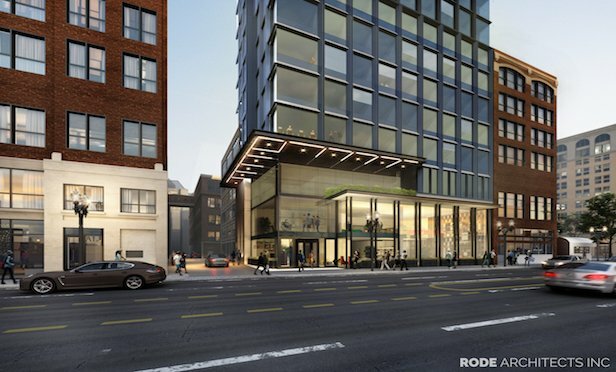 Hudson Group secured approvals from the Boston Planning & Development Agency Board of Directors last week for 150 Kneeland St., a 21-story, 230-room hotel. A rendering of the 150 Kneeland St. hotel project. BOSTON—Locally-based Hudson Group is seizing on a unique opportunity in the city and expects to begin development next year on a high-rise boutique hotel in the Leather District.